THE latest addition to the Olivigna function centre, La Sala restaurant, opened in January and is taking freshness to great heights. Everything about La Sala is generously proportioned. Enormous windows frame the distinctive Warrandyte aspect; there are soaring ceilings; a massive, hand-built, mudstone fireplace; giant, gothic-style chandeliers and there’s the big hospitality of proprietor, Anna Gallo. 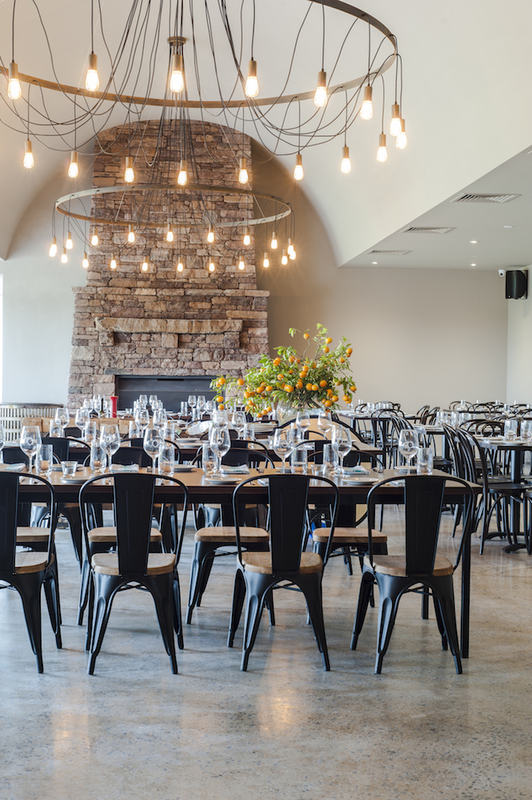 Olivigna is the realisation of the combined dream of owners, Black Salt Catering’s Anna Gallo and developer John Di Pietro. They purchased the picturesque property 16 years ago and planned to leave their jobs and live off the land.“We wanted to bring our two families together to share our produce and our cooking in a big, child-friendly place,” explains Anna, who was born in the Amalfi region of Italy. The food is seasonal and Italian inspired. Tempura-battered zucchini flowers (Fiore di Zucchini) are crisp, light and creamy. Eggplant parmigiana (Parmigiana di Melanzane) is sweet and spicy with an unexpected tang provided by a lemon-leaf cooking method. A seasonal seafood antipasto dish (Antipasto di Mare) is beautifully presented and each of the three components is bursting with flavour: delicate, melt-in-the-mouth calamari spiced with peppercorn syrup and slivers of green apple providing crunch; tasty and light, grilled prawn and fig combo and a rich and tangy crab and tarragon ravioli, served with lemon myrtle mayonnaise. The Scaliatelli alle Vongole is exquisitely simple and satisfying: fresh hand-made pasta served with creamy clams, sweet zucchini and as promised, “a touch of chili”. For dessert, freshly made cannoli filled with orange and cinnamon-infused ricotta and served with seasonal poached fruits is sublime. 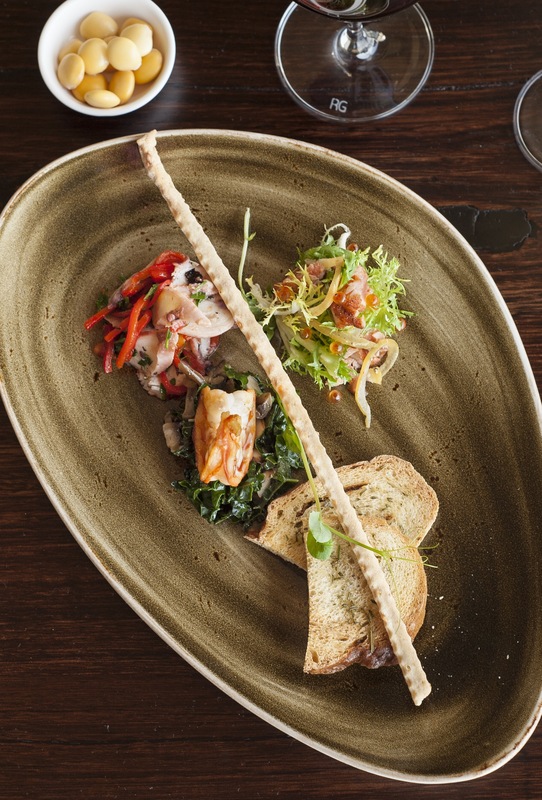 La Sala’s wine list offers several interesting choices such as Tuscan and Piedmont wines and local Italian varietals together with some standard fare. The Olivigna house-wines are clean and uncomplicated and provide an understated accompaniment to the food, in the Italian tradition. The Olivigna property boasts extensive fruit and vegetable offerings as well as an olive grove and vineyard from which seasonal dishes are prepared. Pasta, breads, award-winning olive oils and preserves are all made on site; there are wines from grapes grown on the estate and even house-grown lemons will soon be showcased at the limoncello distillery, planned to open later this year. 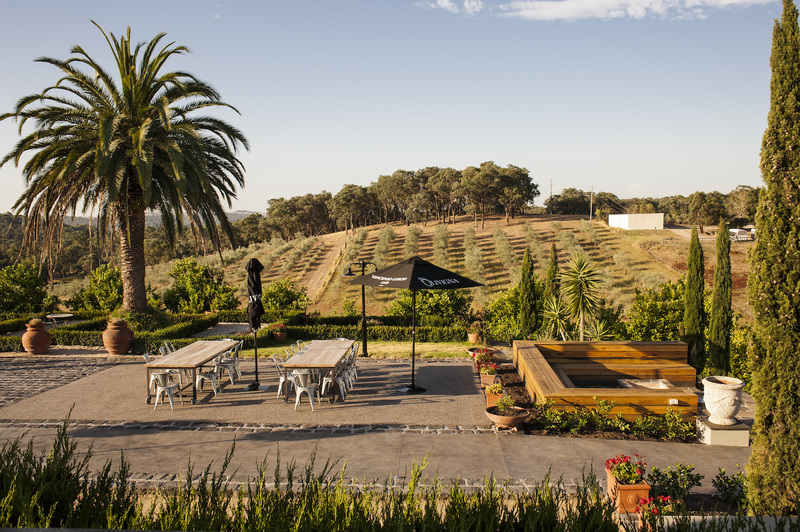 Based on their collective ideas, John designed and built the Italian-inspired building that now houses La Sala restaurant as well as a function centre, wine cellar, distillery and even a bocce court for family entertainment. La Sala Restaurant is open for lunch Wednesday through Sunday, Dinner from Wednesday to Saturday and Breakfast on Sundays. For more information phone 9844 4676. Yummy, everything looks delicious. I have been to Amalfi, fabulous place.